Please visit our 2019 Kids List to see what is available, as well as pedigree information and prices. Many of our 2018 doe kids have been sold but we still have a very nice selection to offer. Presently we are featuring two that we are offering for sale at this time. All doe kids are given heat treated colostrum at birth and are raised using CAE prevention methods on pasteurized goat milk and separately from adults. 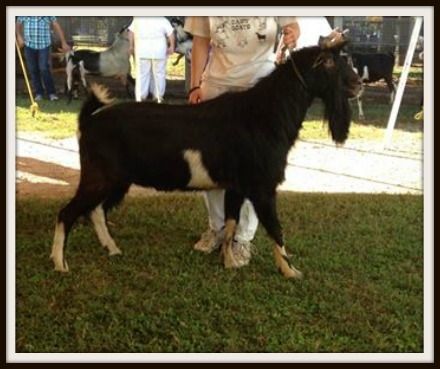 Ask about our special 4-H youth discount on all eligible goat sales. Pictured above is Te-Iltcohe Zin-Prize Mow, a daughter of Shining-Moon Xrated Enterprize. She is the dam of the doe kid pictured on the right, which is sired by Shining-Moon Bravo a Tempo Aquila Free Eros son out of Shining-Moon Classic Desire. Asking $300.00 for this lovely doe kid which should make a very fine 4-H or FFA project kid. 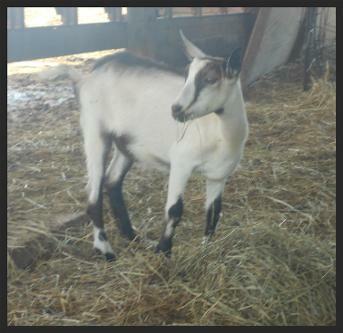 We are also offering for sale this nice two-tone chamoisee grade Alpine doe kid born in March. Sired by Sequoia Wood Rich Favor she is out of an Iron-Rod Staubach Sir Legacy daughter. Her dam was Jr. Reserve Champion Grade/Experimental Doe at the 2017 Ozark Empire Fair in Springfield, Mo. She should develop into a nice family milk doe for your homestead herd. Asking: $200.00 for this doe kid. Click here fpr details on Sequoia Wood CC Sabathia. Contact us for details and price. Serious inquiries only please. Other colors can be ordered. Allow 2-6 weeks for your orders. All sizes are $15.00 + $6.00 for shipping. Designed at the request of our friends who breed and show Nigerian Dwarf dairy goats we have added this whimsical spoof of the all time Disney Favorite story book flick. Comes only in pink. $15.00/adult and youth sizes + $6.00 for shipping. 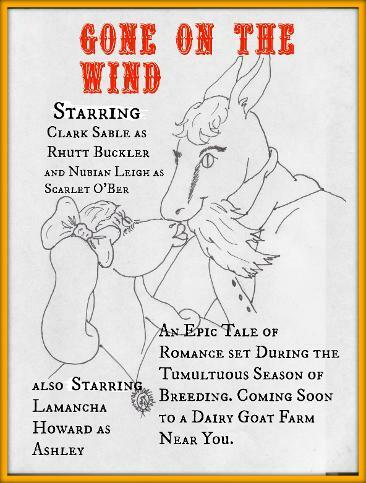 One of our newest T-shirt design features a spoof image of the classic film "Gone With the Wind" movie poster with a decidedly "goaty" spin to it. This design comes in medium, large, extra large, and 2XL. $15.00 plus $6.00 shipping. 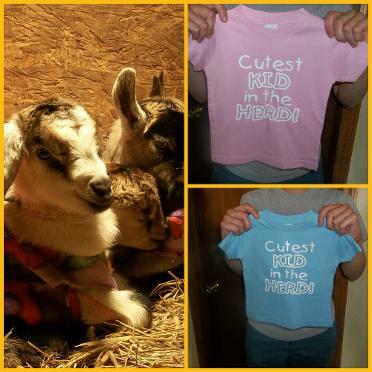 Infant and Toddler shirts are available in pink or blue. They are $10.00 each + $6.00 for shipping. 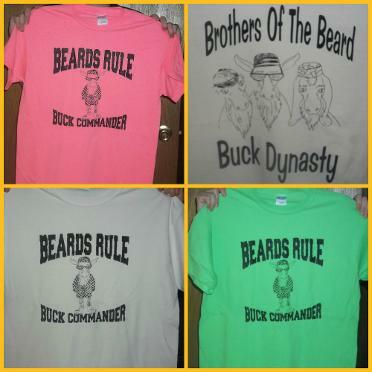 Shirt orders may be sent to: Rebecca VanTassel at 1005 HWY, Cabool, Mo. 65689. At the present we are not set up for PayPal but we accept cash,personal checks (please make out to Rebecca VanTassel), or money orders. 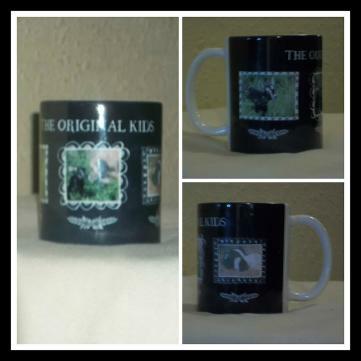 "The Original Kids" coffee mug is just the perfect gift for all goat lovers. 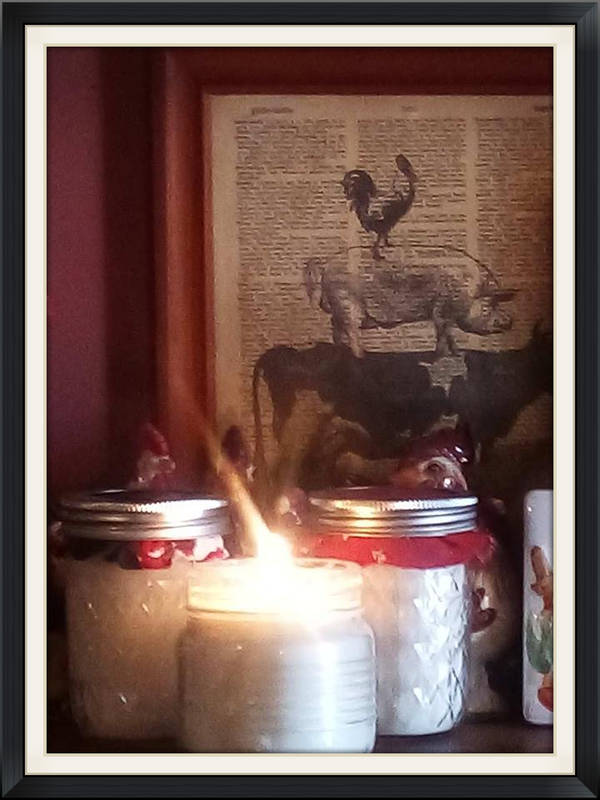 What a wonderful way to enjoy a favorite hot beverage and farm animal at the same time this coming Christmas. The Cup features cute photos of an Alpine, Lamancha (with LGD), and a pair of cuddly Boer kids. $12.00/cup plus $8.00 shipping.